Download Clean Masonry Blog Template Free PSD. Here’s a neat landing page free psd which is elegant and perfect for a blog and suitable for any type of website. 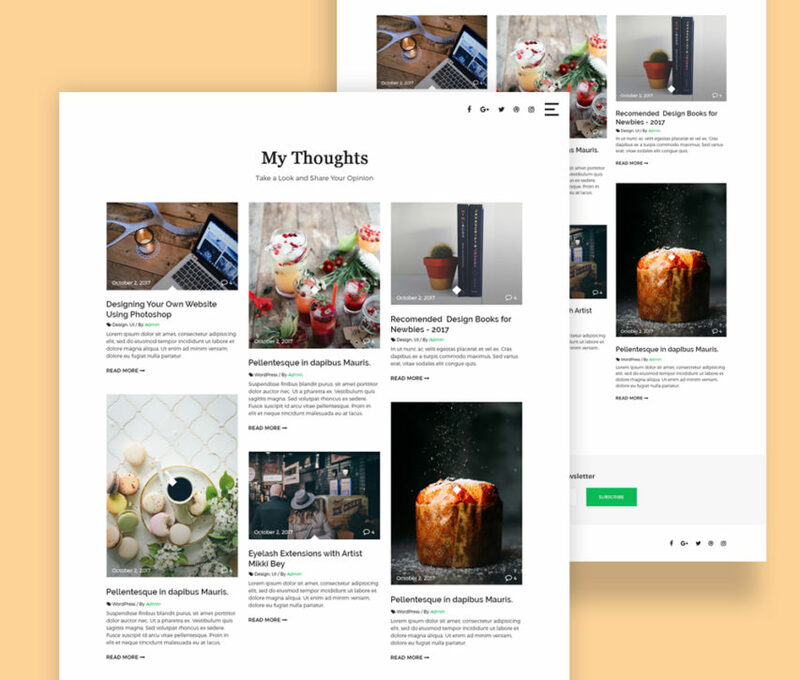 A Masonry style template for a large number of topics that you can choose and create a lovely blog. It has a clean and simple color scheme and uses product images with plenty of information to make your blog post stand out more. So if you need to create for yourself something similar, than this Clean Masonry Blog Template Free PSD might help you achieve that. Hope you like it. Enjoy!